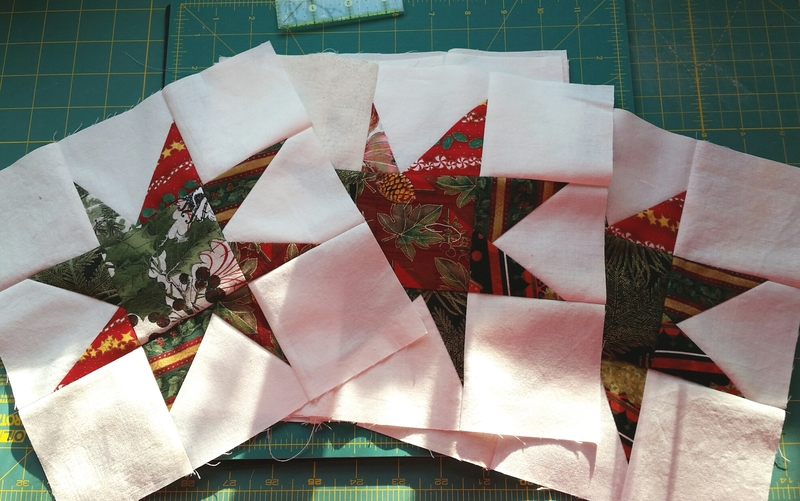 Yesterday I finished taking apart the inner border blocks to add the red and white striped flanges. 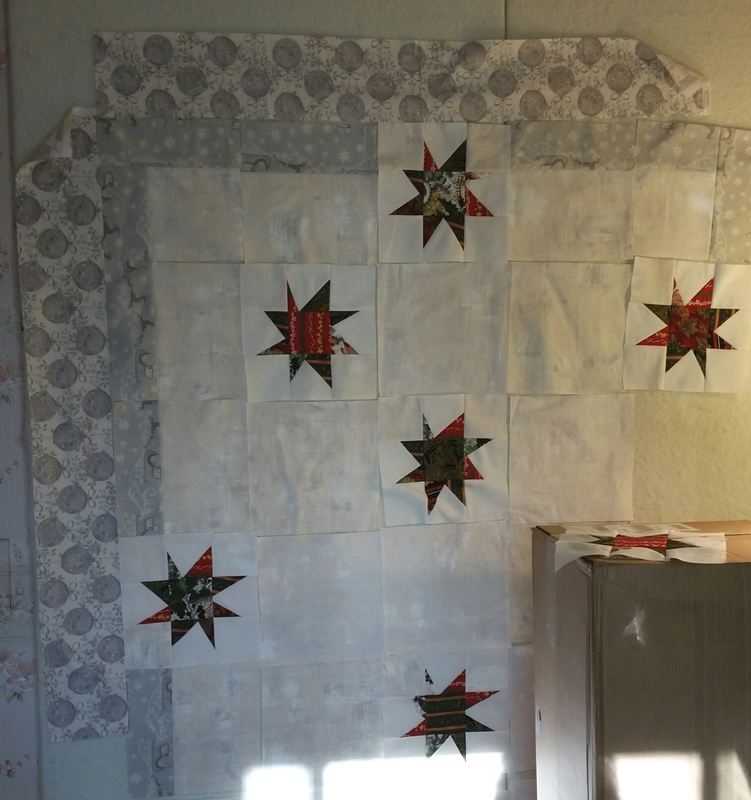 Today I sewed the last of the chunks together for the top, and I pieced the borders. Bad photo, but the light goes away early these days. I still have to cut corner blocks, and then I can sew on the borders. It felt good to keep busy sewing today. I only had a couple of small finishes this week, but I didn’t buy any new fabric, so it’s good. 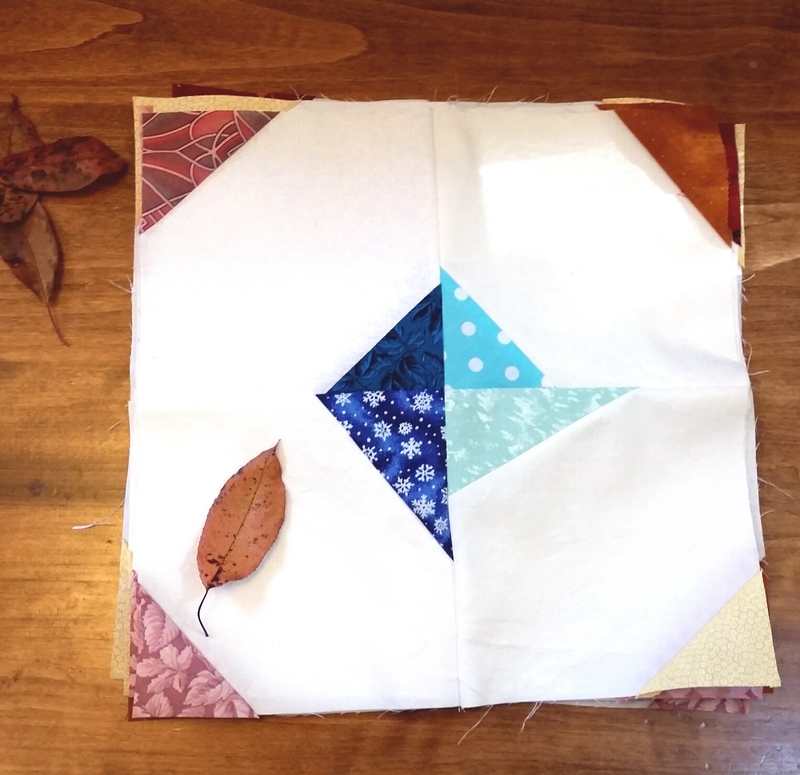 I made these six 12.5″ blocks for Kat’s November block drive. These are quick and easy to make, and I could have made more, but I ran out of white/cream scraps. Still, they used about a yard of scraps. 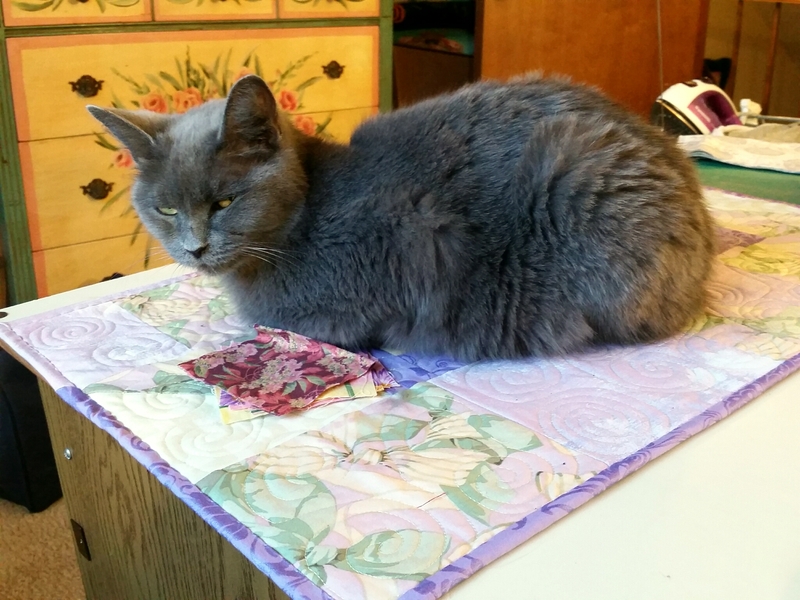 This cat mat for Krissi used about 2.25 yards, almost all the scraps from the Lavender Baby Quilt. 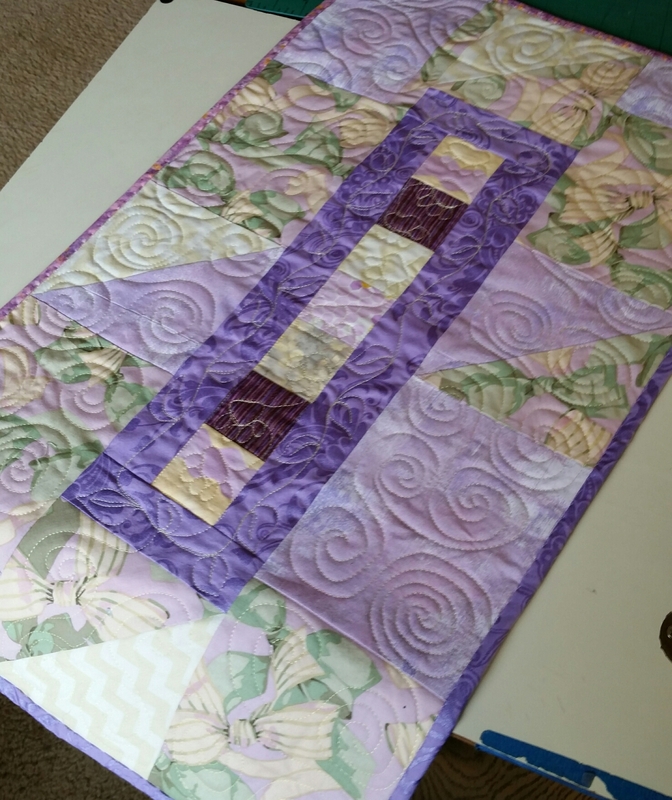 I had fun playing around with free motion quilting on it. I’m pleased with the paw prints down the center. Krissi took a serious liking to that baby quilt, was on it constantly, and took it personally when I made her stay off long enough for me to quilt it. 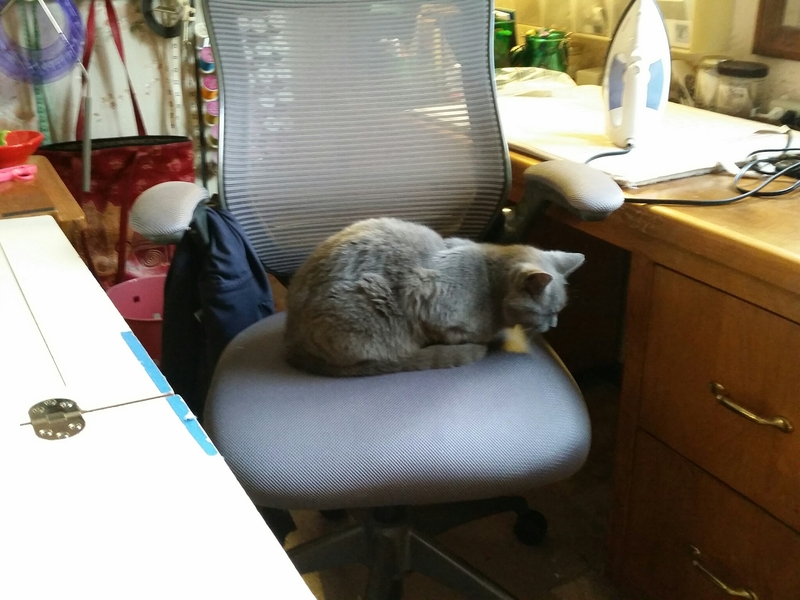 I tend to think that fabric is fabric to a cat, and there’s certainly enough lying around the studio, even on the sunny cutting table. Instead, after I put the baby quilt away, this is where I found Krissi, day after day. Followed by long, accusing looks at me. Are you keeping you stash and your cats happy? I’m linking up to the Stash Report at Patchwork Times. Yesterday I finished these ten wonky stars, and I’m very happy with them. 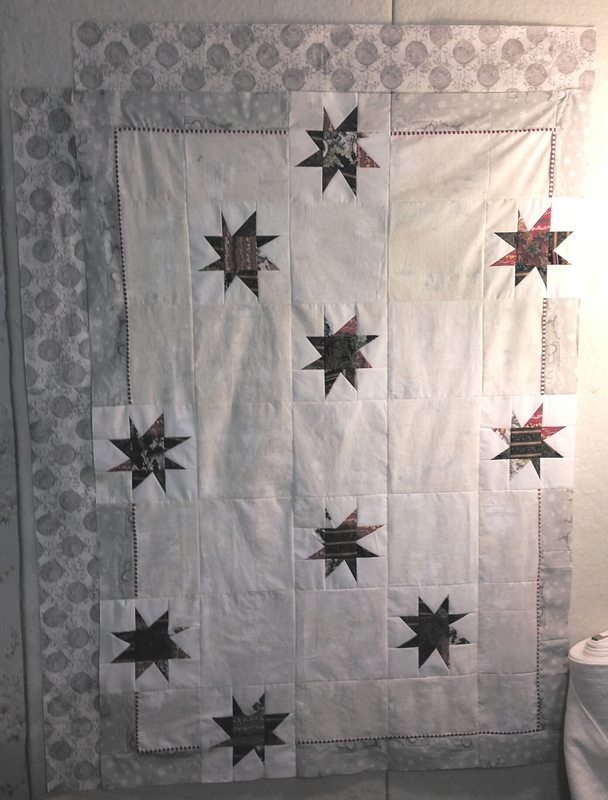 Here’s how they look in the quilt. It’s supposed to be low volume, but I know it needs another pop or two of color. It will have a bright binding, but I think it needs more. I’m very open to suggestions, because the place I would add some piping will require lots of unsewing.